Worldwide PC spending dropped 6.4% with Windows 8 adding confusion rather than driving adoption, according to analyst IDC. Although the fourth quarter (Q4) of 2012 saw the beginning of a new stage in the PC industry with the launch of Windows 8, its impact did not quickly change recently sluggish PC demand, and the PC market continued to take a back seat to competing devices and sustained economic woes, IDC said. Jay Chou, senior research analyst with IDC's Worldwide Quarterly PC Tracker, said: "Lost in the shuffle to promote a touch-centric PC, suppliers have not forcefully stressed other features that promote a more secure, reliable and efficient user experience. As Windows 8 matures, and other corresponding variables such as Ultrabook pricing continue to drop, hopefully the PC market can see a reset in both messaging and demand in 2013." In Europe, Middle East and Africa (EMEA), IDC said the PC market performed in line with expectations in Q4. Shipments declining at a mid single-digit rate from a year ago. 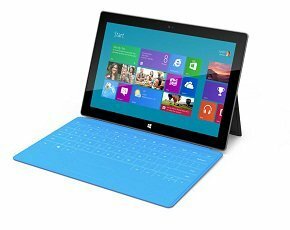 Although sell-in of Windows 8 systems accelerated by early December, helped by the new Ultra Slim offerings, consumers continued to shun PC purchases in favour of attractively priced tablets and smartphones, particularly during the end-of-year Christmas season. Commercial purchases also remained weak, softened by persisting uncertainty in the economic situation across the region. Looking at market share, Acer’s share fell the most with a 28.2% drop compared with the same period last year, Dell fell 20.8% while HP fell 0.6%. Lenovo grew 8.2%, making it the second-largest PC supplier, behind HP, which retained the number one position. Dell was third and Acer was fourth. According to analyst Canalys, combined shipments of desktops, netbooks and notebooks showed a year-on-year decline of around 10% in Q4 of 2012, as consumers bought Android tablets and iPads over Wintel-based PCs. Microsoft and Intel will suffer further, with the Wintel PC market share expected to decline from 72% in 2012 to 65% in 2013, the analyst predicted. The analyst noted that the choice of PCs form-factors is greater than ever. Businesses also need to factor-in the additional cost of a touchscreen to get the most out of Window 8.